I have worked with Jaco in selling a house and in buying a house to replace the one we sold. His professionalism and timely advice made the process go as smoothly as possible. It took a year to find a new place and the negotiations were not without challenge; however, Jaco put my interests first and kept me stress free. I highly recommend him! Craig and Cynthia Carlson were great realtors to work with. They showed us homes on multiple occasions over multiple years to help us find a summer getaway in the Blue Ridge Mountains. They were patient with the changes we made in our search parameters and eventually found us a great log cabin near West Jefferson, NC. I would recommend using the Carlson’s. My husband and I own a business in town, Due South Outfitters, and always appreciate feedback from our clients. Margo was a dream agent. We had a little bit of a bumpy road starting out with the first house we were under contract with but in the end she helped us find the perfect first home for us! As first time home owners, she was prompt at answering any questions we had and making suggestions. My parents and my in-laws plan to move to the area and buy a house within the next 5 years, they will be using Margo and BRIP for their purchase. If my husband and I ever decide to move (we love our house so much), we’ll use Margo again! First time homebuyer here that to be totally honest, didn’t really know what he was doing. Ben made the process so simple and was there to answer any questions day, night, and weekends. Super accommodating and knowledgeable. He was able to work around my crazy schedule to help me get exactly what I wanted. Couldn’t recommend him enough. Craig helped us buy our first home, and he was amazing. The house hunting and purchasing process is overwhelming to begin with, but when you factor in my husband’s crazy work schedule, two toddlers, snow storms, and being new to the process, there’s no way we could have done it without Craig. He worked with us at odd hours and was a sounding board when we needed guidance from finding a lender to choosing a closing attorney. If you’re lucky, Cynthia, his wife, will come see houses with you. I appreciated getting their honest feedback about the places we saw (and the help entertaining the kids while we looked around). Now that we’re in our new place, I can’t wait to have Craig and Cynthia over for dinner. We just appreciate them so much! Craig did a fabulous job helping us sell our house. We had a full-price offer within 24 hours of listing. He got everything to our attorney for us and delivered our check after closing. We’ll definitely use him again when we have another property to sell in The High Country. If you want a realtor who will do what is best for his clients then give Jaco a chance. He made the process of selling our home seamless. He had the right market strategy, kept us informed every step of the way and helped negotiate the right price for us. He’s now helping us find another home in Blowing Rock. Thank you so very much for your professionalism Jaco. It truly has been such a blessing to have a realtor such as yourself helping us. Craig is the best!! He went above and beyond in his duties/responsibilities as our agent. Craig was available every step of the way throughout the process. You not only gain an experienced, efficient realtor when you choose Craig Carlson, you gain a friend! My fiance and I had the pleasure of working with Ben to find our new home in the high country ! Ben made our home buying experience fun and enjoyable and has become more than just a realtor to us! He was patient and kind throughout the entire process and was quick to respond when we had questions or concerns. He recommended an excellent contractor to help with the renovations to the new place and even assisted in picking out some of the updates! I am so pleased with our entire experience and would highly recommend Ben McKay ! We had initially contacted a realtor at another firm, and after spending a significant amount of time discussing what we were looking for, we never heard from her again. I was given Ben McKay’s name by a co-worker. Ben was very responsive from the beginning, and took the time to educate my wife and I on the different location options that fit what we were looking for. He provided a lot of houses for us to consider, and always made time for us as we live 2 hours away, and were limited in the time and timing of when we could look. When we finally settled on a house, Ben guided us through every step of the process, and made sure that nothing was overlooked. He helped us negotiate on the items that were found during the home inspection, and has continued to help us with finding contractors for future projects. Ben started as our realtor, but we truly consider him a friend now. I would definitely use him again, and would highly recommend him to anyone who is buying or selling a house in the Boone, Blowing Rock, or Banner Elk area! Our family had the pleasure of working with Ben McKay as we searched for our dream mountain home. As we are not from the area, the idea of doing a long distance search and feeling confident about such a big purchase was daunting. We took many trips to the area over the course of a year to become familiar with different neighborhoods and different towns, and Ben was so patient with us. We were never pressured to make a move; it was evident that Ben was most committed to ensuring our comfort and satisfaction with our decision. We thoroughly enjoyed his company as we looked at many different types of properties. Most importantly, we appreciated his expertise, his professionalism and his responsiveness. We highly recommend Ben McKay! Jaco was very professional and on top of things! Our house sold quickly and for more than we expected! He took care of all our needs and made the process seamless and fun! I have recommended him to all my friends! My husband and I were looking for a home in the High Country and Jaco was finding houses for us to see within a day of connecting with him. He was very professional throughout the entire process from first contact until we moved into our new home. He worked around our schedules and helped us figure out all of the intricate details that went into the negotiation, offer, and final closing date. Jaco was a complete joy to work with! We highly recommend him. Craig was very helpful. We were there for a two week period on vacation were able to do the transaction from beginning to end while we were there. We highly recommend Craig for all of your real estate needs in the NC area! Anne is one in a million. Please consider yourself lucky to be able to work with such a knowledgeable and diligent professional. Anne is the best agent I have met in over 10 years of Real Estate dealings between Florida, New York and North Carolina. Craig made our purchase seamless. We were 4 out of state families buying a vacation home on Sugar Mountain. (Ski Resort) Craig made himself completely available for our many visits, countless questions and also supplied us with a list of exceptional local contacts to facilitate our purchase! Craig knows the area thoroughly and was very on hands in our search. Craig really went the extra mile for us and he will for you too! Craig handled our out of state Sugar condo sale for us and we could not have been more pleased. Everything went off without a hitch. He even helped me haul my couch into the condo when he met to give me the keys. He was AMAZING! Thanks Craig for everything. Craig recently helped my wife and I fulfill our dream of owning a log cabin in the North Carolina mountains. With his help we identified, negotiated and closed in 63 days. From the start he really had a great understanding of what we were looking for. No wasted viewings. He was extremely flexible and always very quick to respond to any request. A great realtor and a better person. I would highly recommend him! My wife and I had Craig as a realtor in both selling a home and purchasing another. He was patient, knowledgeable, tireless, and the list could go on, with the whole process. Thanks Craig as well as your entire company. Craig helped us sell and buy a home. He listens to what you are looking for and does his best to help you get it. He is very knowledgeable of the High Country areas. He knows the “market””! Craig is who you want to help buy or sell your home! Ben was extremely patient, & professional. I worked with Ben for approximately a year & he was very helpful in my search. Highly recommended & would definitely seek his services again. We just wanted to let you know what a pleasure it was to have Ben McKay as our agent for almost two years. During that time he never failed to show us properties we asked about and suggested others within our criteria. He was always upbeat with a great sense of humor. All this work paid off when we found this great place on Green Field Lane. Once again, he is a valuable asset to your firm and you’re lucky to have him. The whole procedure from beginning to the final closure was superb. The Kovalcin’s were extremely well versed in all aspects of the sale and I cannot praise them highly enough. Anyone interested in selling their home or buying a home should contact them; you won’t go wrong. We have found Larry and Cindy to be very knowledgeable and extremely helpful. They understand and have very practical and workable comprehension of the real estate market. They are very professional, fair and balanced in executing the dual-agency; representing the buyer and the seller. They have exhibited great flexibility when necessary, and at the same time, great attention tot he necessary details. We would recommend them highly. We appreciated the professional way that (Larry and Cindy) handled our two real estate transactions. The period up to closing, and the closing, was extremely well handled. We were kept well informed all along the way. Thanks for a great job. I met Patti McCollum when I began my search for a home in the Boone/Blowing Rock area. For years she would send me emails of new listings, she thought I would be interested in. Patti’s persistence and knowledge of the area led me to the perfect mountain home! Patti’s attention to detail and understanding of real estate transactions made for a positive experience in every way. And her representation for me as a buyer, was flawless. Patti always made herself available to answer questions and offer advice, even after the sale was complete! My husband and I would highly recommend Patti to anyone who is searching for the perfect mountain home! This was the best experience I have had with a realtor. Craig met with my husband and I to find us our perfect home. He truly listened to what we were looking for. Great guy. Great integrity great knowledge of the area and I would recommend him highly. The moment we asked Craig about properties we were getting DAILY updates on houses we might be interested in. He knew what we wanted and looked for the specifics but was not afraid to think outside the box. Because of this we found a house that we honestly don’t believe we would have discovered with another realtor. All requests were responded to in a timely fashion. He continued to check on us even after we close on the house. He showed us the utmost care and professionalism. It took almost 2 yrs to find our perfect family home as we looked while living out of town! With Craig’s vast knowledge of the area, connections and unsurpassed patience, we found “the one”. I would recommend Craig to anyone buying or selling! He guided us from the beginning through closing and EVERYTHING in between. He is prompt with communication, thrives on attention to details, honest & trustworthy. He has become a family friend and we look forward to a long lasting relationship. Thank you Craig for all you have given our family!!! We will see you soon! Craig was amazing throughout our search and made the buying process painless and smooth! He went out of his way on several occasions during the process to make sure we were happy and found us our perfect home- highly recommend!! Craig went above and beyond to help us find the right house. Even after we had moved in, he came by weeks later to help fix a window sash. I’ve never known a real estate agent who does as much as Craig does for his clients. We have just purchased a beautiful log home in Boone N.C. thanks to the efforts of Brian Rogers. We contacted Brian 10 months ago via Internet and the search began. Brian continued weekly to send us new and updated listings up and until our purchase. Blowing Rock Investment Properties had the most user friendly website and all listings were most thorough. Thanks for making our mountain dream home come true!!! The secret to finding the right place, is the relationship and trust you build with your Agent. Brian was the perfect combination of insight, support and adaptability. He really listened to my goals, and wishes, and was patient with me as I looked at properties. I felt he always had MY best interests in mind. A real pleasure working with him. Brian Rogers assisted us in getting our first home. Brian communicated clearly and responded to our emails quickly. Brian handled all paper work and set up online signatures, making the process very smooth. We would definitely recommend Brian Rogers to anyone looking for a new home in The High Country! 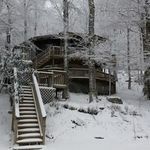 We recently worked with Chris on the purchase of a vacation/rental home in the Boone/Banner Elk area. This was the fifth time that we’ve worked with a Realtor and I can say without a doubt that he was the most insightful, responsive and diligent real estate agent that we’ve ever worked with. Chris was very professional in every way. Being a Realtor myself for 40+ years I am well aware of needed capabilities for an experienced salesman and Chris Spangler was excellent. He negotiated in my interest and was able to reach a conclusion that satisfied both parties. well done! Passion, energy, and diligence only begin to describe this market leading professional. .Chris not only outworks everyone, he does it with never ending optimism, sincere and open goodwill to his colleagues, and utmost integrity. He finishes what he starts.